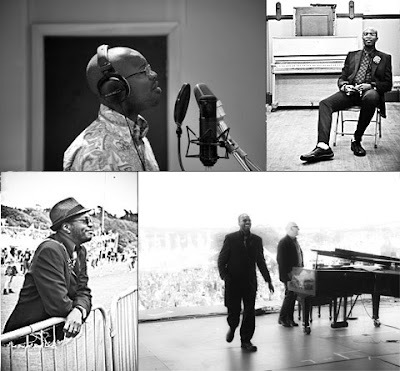 David McAlmont is right up there with my of-all-time-favourite artists. This talented young man has so much passion and feeling he is compelling and thrilling to watch. I was delighted to learn on David's blog that he has some very special concerts coming up. The first of which begins on the 1st October 2010. 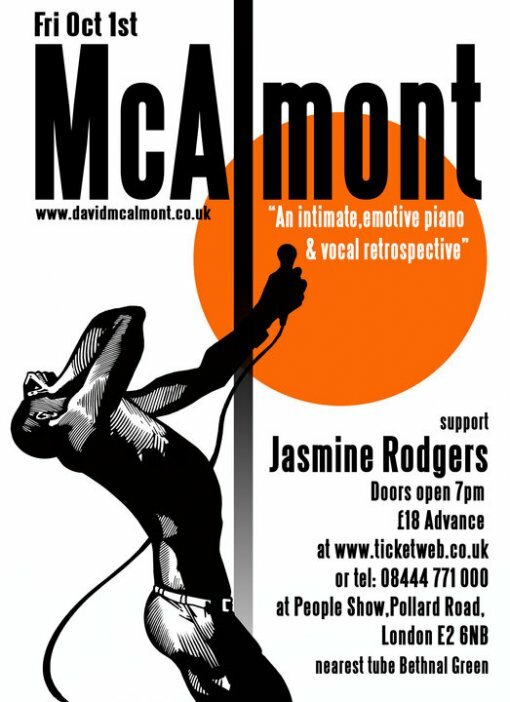 David McAlmont, the highly praised and respected singer/songwriter based in London, says "This is a very special concert that represents the start of a retrospective journey through my musical past, one that I hope will reconnect me with the people who have kindly supported my music over the years. I’ve never done shows like these- that cover the entire 18 years of my career- and I sincerely hope that you will can be present to experience the joy that I have been rediscovering in my back-catalogue. This first concert will be at a small independent theatre in the Bethnal Green (apparently it’s where one of the Brother’s Kray got married), capacity 72 and will be performed by me and Guy Davies on piano, an opportunity to experience salon like intimacy ahead of the full line-up on November 22nd. The beautifully talented Jasmine Rodgers has kindly agreed to open for us." Alex Greaves, Rob 'Master General' Jones, Steve Rolls, Elliot Richardson, Gareth Babet and Nicky Cook are with Invasion management. New track 'Bring Me' from the ever-pleasing Sway feat Klayz!